I love many different colors. I have never thought about color in this way and how it effects me. 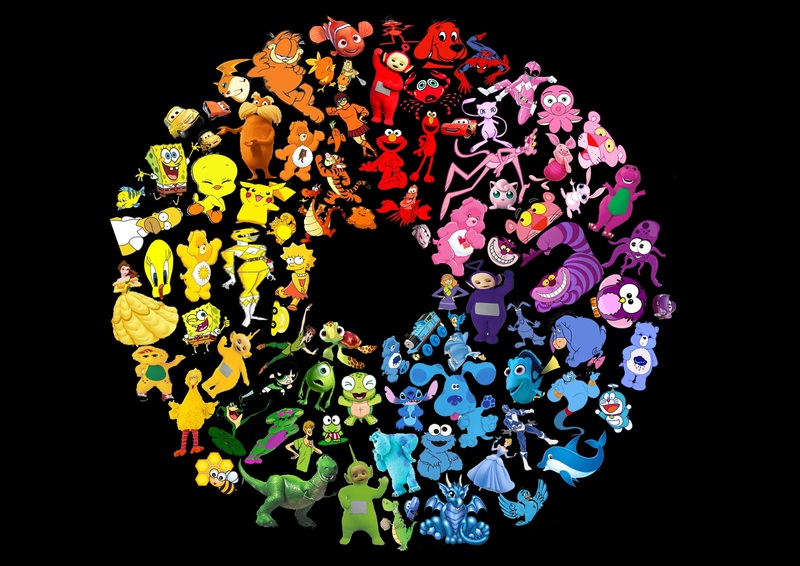 I really like how the man said each person could have a different color wheel because color effects us all differently. I liked this video and thought it was cool how they explained colors in not just art. It also showed the importance of colors in our lives and the different effects they can have on us. My favorite quote from the video was when the guy talked about how color effects people soulfully and not just mentally. I thought that the video was very interesting and the bright colors within the video made it more engaging. All together the video was really interesting to me. I think the part I found most interesting was when they talked about how if you're in a red room or see red lights, your heart rate goes up and it will cause you to do whatever you're doing faster. I thought the video was interesting. I think it is very cool how colors can affect us physically and mentally. It showed how colors play an important role in our lives. This video is very interesting and cool. I have never thought of this before. Its crazy how color can effect how you feel everyday. I thought this video was very cool and I love how it said that color is like a language. I never really thought about how we associate different feelings with different colors and how colors can change our moods. I like the video. I wish it was easy to draw the stuff we do in class. i really liked this video and how it made me think differently about colors. i liked how they explained how people associate different colors to different things and emotions and how colors affect us in different ways. I never really considered the impact of color on our lives or how our culture effects how we view colors until this video brought it to my attention.I also loved the cultural part because it went through the different decades and reviewed the societal events and the colors that were associated to that decade because of them. I liked the comment about how she talked about you were wearing a specific color and you're saying something to the world wearing that color. I though the video was interesting, and can't wait to start working with color. I've always found it very interesting how different colors generate different comforts and moods to us, like when she said that red colors make us move while blue makes us more calm. Color is so cool and I am so ready to work with it. This was a great video to me. This video really shows how color had a big impact in our lives. Just think if our world was all black and white i would fell very gloomy all the time. But colors seems to brighten everyone. I am just glad that we are moving on from shading and going to color. Color makes a painting or art project much better. What stood out to me the most was that colors can affect you mentally and physically. I liked learning about what the saturation does to the mood that the color has. I've always found the correlation between mood and color to be fascinating, and have always wondered if color blindness could alter that correlation. The video was neat! I'm very excited we're going to start using color!! This video is interesting. Different color can shows different mood, color is a common language. Color can affect a person's mood. this video was unique and i glad that we are starting to paint.